This retreat was named after Ramon John Deed, regimental number 3788300, born 25 July 1945, serving in 1st Field Squadron, Royal Corps of Australian Engineers in Vietnam from 13 March to 10 May 1967. Ramon was from Mildura attending primary and secondary schools with other local veterans. He died at the US Evacuation Hospital, Long Binh on 10 May 1967 from wounds received in a mine incident at the Horseshoe the previous day. His was one of the many lives claimed by the ill-fated minefield laid by the Australians between Dat Do and Phoc Hai. 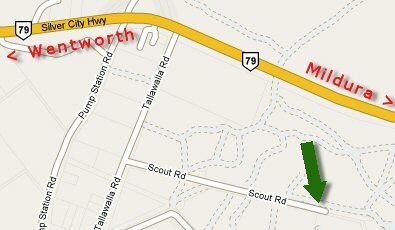 The Ramon Deed Veterans’ Retreat is situated just off the Silver City Highway, in Scout Road, Dareton NSW. It is 17kms from Mildura, and 16km from Wentworth. The Retreat is situated on 22 acres and is managed by the newly formed Committee and Members of the Wentworth & Coomealla Districts VVF Sub Branch. All veterans, peacekeepers, peacemakers, serving and ex-service personnel, and their families are welcome to use the Retreat. There are caravan and camping facilities available, as well as clubrooms, and BBQ area – a relaxing peaceful environment to catch up with old mates and make new friends. $10.00 per night – $70.00 per week including power. At this stage there are limited powered sites, so bookings are preferred. The Township of Dareton, is only five minutes away and provides; doctor, chemist, post office, taxi service, a great take away food shop, ladies & men’s hairdresser, Fishers IGA store, bottle shop and garage. The Coomealla Memorial Sporting Club provides bowls, pokies, bingo, TAB. and wonderful meals. 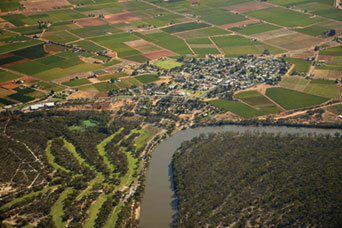 The Coomealla Golf Club fronts the mighty Murray River and is an excellent course. The boat ramp has just been upgraded, and the fishing is great. We can be contacted between 9am to 4pm daily, on: (03) 5027 4447. Resident Caretakers are Steve and Jackie Barlow.